Breaking: There are more screens to compete with today than ever before and it can be difficult to optimize content. Here are our tips for creating content that lives dynamically across screens. One of the biggest changes that has come in the advertising world is the sheer number of screens, avenues, and locations that marketing can live in comfortably. Back in the day marketers had two general options; television and print. Now there are dozens of social platforms, programmatic TV, immense options for print and innumerable screens to track across. It can seem daunting, but reaching people across all of these screens and mediums can be done beautifully if you know what you are doing. In order to dive into this topic, we must first establish a basic understanding of programmatic advertising and how it can be utilized efficiently. Programmatic advertising can be described as the automated serving of digital ads in real time based on individual ad impression opportunities. In other words, programmatic advertising allows predetermined algorithms to send your digital ads directly to consumers that have shown an interest in your product or products in a similar category. Now that we have an understanding of what programmatic advertising is, we can dive into the nitty-gritty of how to make programmatic advertising work efficiently across all the screens our customers ingest content on. With the advent and popularization of platforms like YouTube and Facebook, mobile and video viewership has been steadily rising. This increase in consumption means that it is more important than ever to take advantage of programmatic advertising to utilize these channels and boost your impact. The most important thing you can do when distributing your creative is to get your content in front of your target demographics in locations that they already frequent. Programmatic advertising does exactly that, allowing your user journey to have a new front door right in front of your target demographics. Creating ads that are dynamic allows them to run in all sizes. By designing them to react fluidly to screen size, we make our ads easy to ingest and interact with across all screens. By creating a multitude of formats, we are able to move swiftly and efficiently across all platforms, and there have never been more platforms to create content for. It is also important to make sure you keep a robust catalog of video content at the ready, as video content is being ingested more and more. In the age of smartphones and tablets, it has never been easier for people to ingest “snackable” content. Putting a focus on short-form video and dynamic ads allows you to reach a much greater portion of your demographic. As of 2017, 63% of all content on the internet was interacted with using a mobile device and that percentage is only going to grow. Whenever you are utilizing web content such as banners and even landing pages it is extremely important to make sure to test scalability across all screen sizes. Even the greatest creative goes to waste when it is poorly optimized! 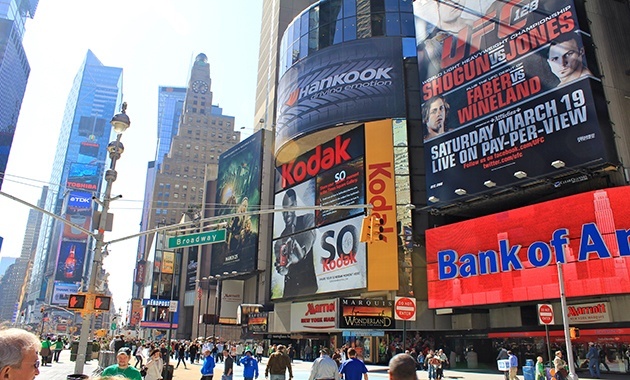 In order to reach audiences efficiently across screens, programmatic advertising is a must. Partnered with geofencing and a smart and easily navigated landing page, programmatic advertising can turn an inefficient user journey into a simple two-step process.